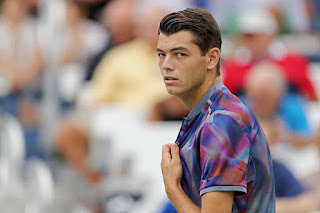 Taylor Fritz talks about what he has learned from Paul Annacone, who has been helping coach Fritz. Taylor Fritz breaks down how he snuck past Fernando Verdasco to reach the fourth round in Indian Wells. 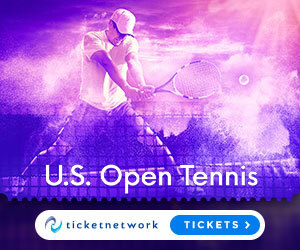 Watch highlights as Croatia's Borna Coric and NextGenATP stars Taylor Fritz and Denis Shapovalov advance on Thursday at the BNP Paribas Open. Taylor Fritz, Stefan Kozlov and Reilly Opelka visited the Living Desert Zoo during the ATP Challenger Tour event in Indian Wells. Denis Shapovalov beat Taylor Fritz 7-5, 6-4 to advance to the semi-finals of the ATP Delray Beach Open. 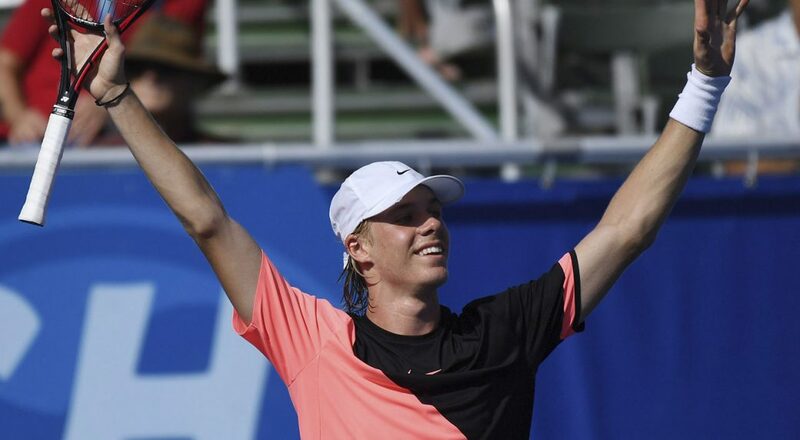 Shapovalov is vying to become the first 18-year-old since Kei Nishikori at Delray Beach in 2000 to win an ATP Tour title. 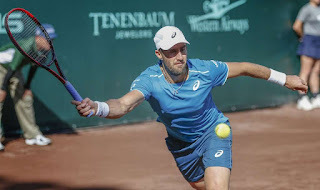 He'll face either Chung Hyeon or Frances Tiafoe for a place in the final. Video: Who Won The 2018 Delray Beach Open Beach Games? Watch as Americans Jack Sock and Taylor Fritz battle it out in the 2018 edition of the Delray Beach Open Beach Games. Video Credit: 2018 Delray Beach Open. Taylor Fritz discusses his current form and looks ahead to a strong finish to the season, while competing at the ATP Challenger Tour event in Ho Chi Minh City, Vietnam. Taylor Fritz speaks to the media after his R2 loss to Dominic Thiem. Q. 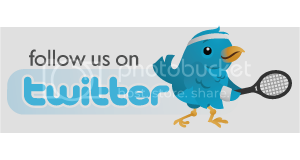 Have you started to play your best tennis again after maybe not quite getting there during the summer? What are you taking out of this? TAYLOR FRITZ: Yeah, I played a good match. I had a lot of chances. I didn't take them, but I was right there. I've been playing well the last four, five weeks. I'm excited for the rest of the season. Excited to get back to work, see where it takes me next year. I finally feel like I'm back playing solid tennis. Q. Any thoughts about not so much a sluggish start, but you didn't make any breakpoints, some of the key points didn't come through? Were you feeling it? NextGen quartet Taylor Fritz, Frances Tiafoe, Thanasi Kokkinakis and Ernesto Escobedo have fun driving UTVs at the beach in Los Cabos. Stefan Kozlov and Taylor Fritz compete in a paddle board race and (narrowly) manage to avoid falling in the chilly water in Newport. Taylor Fritz introduces ATP World Tour Uncovered to his wife, Raquel, and son, Jordan, at their California home as he discusses balancing tennis and family life. Taylor Fritz soaks up the experience at The O2 as he visits the Barclays ATP World Tour Finals to receive the ATP Star of Tomorrow Award presented by Emirates.